When you have a chronic disease, such as diabetes, good management helps you live your best, healthiest life. 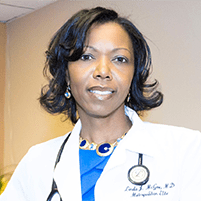 At Metropolitan Elite Family Practice located in Laurel, Maryland, family medicine practitioner, Dr. Linda McGee, evaluates and manages your chronic conditions. For medications, lifestyle recommendations, and other therapies to support your best health, call the office or book an appointment online. What chronic conditions need to be medically managed? Chronic conditions are leading causes of disability and death in the United States. Managing these diseases prevents complications that can seriously interfere with your quality of life and your ability to work and do daily tasks. Proper medical management greatly improves how you feel on a daily basis and how your disease progresses. Good health oversight provided by Dr. McGee helps you live a healthy life, even if you’ve developed one of these conditions. Dr. McGee doesn’t just treat the symptoms of a chronic condition if you happen to have one — she helps you prevent them from developing in the first place. You can take measures to help boost your health and prevent disease, such as losing weight, quitting smoking, revising your diet, and exercising more. People who are at high risk of developing a chronic disease may benefit most from a preventive care plan. You’re at risk if you abuse substances, have a genetic predisposition to a condition, are of advanced age, or are overweight or obese. Even if you aren’t in a high-risk category, Dr. McGee can help affirm lifestyle habits that keep you as healthy as possible. What management therapies are available for chronic diseases? Dr. McGee customizes your health care plan to meet your needs. If you have diabetes, for example, she’ll monitor your blood sugar levels and adjust any medications and dietary recommendations accordingly. For those with hypertension, taking medication, following a low-salt diet, and losing weight can help. If you have COPD, Dr. McGee helps you quit smoking, learn to use supplemental oxygen, and modify your activities. In any case of a chronic condition, Dr. McGee educates you on the potential course of your disease, so you understand why management and prevention of complications is so important. 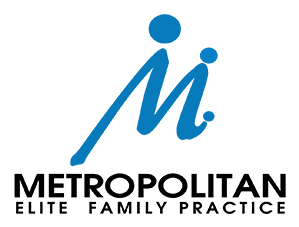 If you have a chronic condition that has the potential to seriously affect your day-to-day life, consult Metropolitan Elite Family Practice for management. To prevent disease progression and live a healthy, functional life, call Dr. McGee or book an appointment using the online tool.